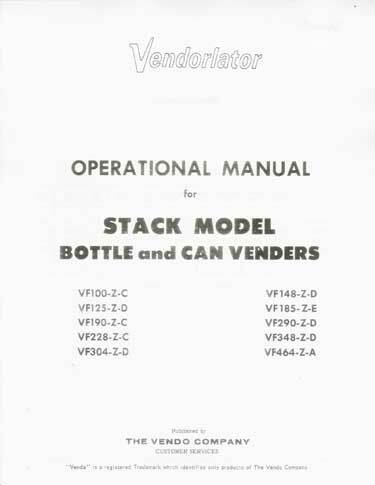 Operational Manual for Stack Model Bottle and Can Venders. "Z" models. This includes VF-100, VF125, VF-148, VF-185, VF190, VF228, VF-290, VF-304, VF-348, VF-464. We do not have too many parts for this machine.